Many older people forget someone’s name or misplace things from time to time. This kind of forgetfulness is normal. But, forgetting how to get home, getting confused in places a person knows well, or asking questions over and over can be signs of a more serious problem. 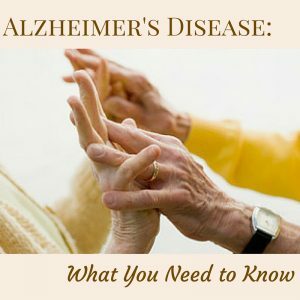 How does a person get Alzheimer’s Disease? What can we do to improve the lives of those with Alzheimer’s and those who take care of them? Jean Szilva, MD, graduated from the Honors Program in medicine at Northwestern University in 1975. She then completed post graduate training in Family Practice at Akron City Hospital. Dr. Szilva practiced in Addison County Vermont which she gave up for the lure of teaching in 1994 at the University of Vermont College of Medicine. She has taught just about everybody from college freshmen to medical students. Her primary subjects were gross anatomy and neural science. Dr. Szilva is the recipient of numerous teaching awards and was awarded emerita status based upon her innovative techniques. She “retired” in 2012 to teach part time in the Rehabilitative Medicine Department where she teaches pathophysiology and pharmacology to doctoral physical therapy students. Dr. Szilva is also currently on a grant from the Vermont Health Care Association via the Alosa Foundation to work with nursing homes on medication use.